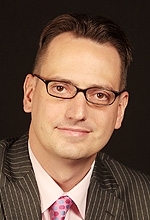 Hans Greimel based in Tokyo is Asia editor for Automotive News. TOKYO -- When Akio Toyoda took over as president of Toyota Motor Corp. in the summer of 2009, he likened his challenging mission to "setting sail in a storm." Little did he know how choppy the seas would be. At the time, he was grappling with Toyota's first operating loss in 70 years. Bad enough. But each year, his fledgling administration has been buffeted by unprecedented crisis after crisis. In 2010, his company was assailed by a global recall meltdown affecting millions of vehicles as Toyota battled accusations of unintended acceleration glitches and other quality lapses. Akio Toyoda during a whirlwind trip of Toyota's operations in Japan after the earthquake. Then as that disaster was calming, Toyota was slammed last month by the Japanese earthquake and ensuing supply chain breakdown. It's another crisis that could consume most of the year. For a greenhorn CEO, call it beginner's luck -- of the bad kind. While speaking at the company's new employee induction ceremony April 1, Toyoda pledged again "to try and bring back normal operations as quickly as possible." That's a familiar refrain at Toyota for three years running now, for a different reason each year.